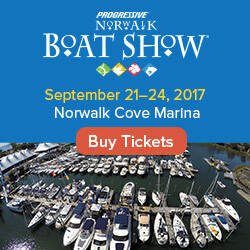 You’ve been told that you really should filter the water you’re putting in your boat’s tank. And someone else suggested a filter on the drinking water tap. And if you’ve got a watermaker, you’re supposed to use a prefilter and then filter the water you’re going to use for the freshwater flush. Choosing the right water filter for your application can be a daunting task. What are the differences between various types? Does it really matter if I've got the right microns? I've looked all over - in stores and on the internet - and never been able to find much in the way of a "which filter is right for me?" guide. The longer we cruised, and used filters for various purposes, the more I had to learn about the topic. The following summarizes what I know, but always check manufacturer documentation if using a filter as part of another system, such as a watermaker - I can give some general guidelines below, but your system may have specific requirements. Size. Obviously, you need the right size to fit your housing. The standard size used in most housings is called 10" by 2-1/2" diameter. Note that although it's called 10" long, the filters are actually about 9-3/4." However, there are lots of other sizes. Type. Six types of filters are commonly found: pleated paper, string wound, polyspun, carbon wrapped/impregnated, granular carbon and carbon block. More on these below - the various types do look different! Micron rating. Filters all have a micron rating on the label. The smaller the number, the finer the filtration. I've seen them as large as 40 microns, but 20, 10 and 5 are far more common. The smallest I've seen is 0.5 microns. Finer filtration can slow down water flow, but that is usually more of a problem in houses (where people expect greater flow) than in boats. You really don't have a choice on the size, so I'll look at the various types and the micron ratings. Prices that I list are for buying online in the US or in big-box stores. In other locations, prices can vary considerably! Pleated filters. Pleated filters only filter dirt and sediment from the water. They do nothing to improve taste or remove chlorine or microorganisms. They are fairly inexpensive, generally costing less than $5 each. Pleated filters come in two varieties: pleated paper and pleated polyester. The paper are generally the cheapest but can deteriorate quickly, while the polyester are far more bacteria- and chemical-resistant. 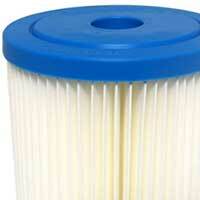 Pleated filters are most often used as a prefilter for the salt water intake on watermakers. Most people don't use them in drinking water systems. Most watermaker companies recommend a 5 micron pleated polyester filter as a prefilter, but you should check the specs for your particular system. Many cruisers try to rinse these and reuse them, with varying success. String wound. String wound filters look just like they sound - a bunch of string wound around. As with the pleated filters, these are for dirt and sediment only and are used almost exclusively for watermaker prefilters. Many of these now have dual filtration levels, with water passing first through a larger micron level to get the larger particles, then a smaller level. The theory is that the filter will last longer before it gets plugged up. String wound filters are relatively inexpensive, often under $5 but $7 or $8 for the dual-layer ones. They cannot be rinsed and reused. Polyspun filters. 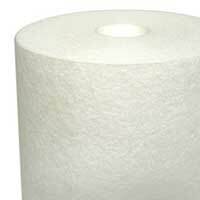 Polyspun filters are the third style of dirt and sediment filters. 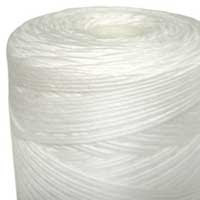 I've found several reviews stating that polyspun filters seem to last slightly longer than string wound, and may be slightly cheaper. Again, they cannot be rinsed and reused. Our Experience: We used all three of the above types for our watermaker prefilter, depending on what was available where we were. Focus more on getting the correct micron rating for your application and don't worry which of these types you're getting. All of them work well for dirt, sediment and rust; none will improve taste, remove chlorine or filter bacteria or other microorganisms. 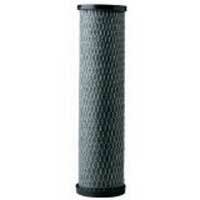 Then we come to the three types of carbon filters: carbon-wrapped/impregnated, granulated carbon and carbon block. All three will improve taste and remove chlorine, but they do have important differences in how well they do it and what else they do. These are generally used in drinking water systems and sometimes as part of a watermaker fresh water flush system (to remove chlorine if you use bleach in your water tanks). Carbon wrapped or impregnated. These are generally the cheapest of the carbon filters. They are also the type of carbon filter that is easiest to find. If you are simply seeking to improve the taste of your water, most will work fine. However, it's important to note that they REDUCE the chlorine in the water, they do not totally eliminate it. Do not use these in any application - such as the freshwater flush system of a watermaker - where total removal of chlorine is needed. Any amount of chlorine will damage a watermaker membrane. Generally, these are polyspun or, less often, pleated filters that have a covering of carbon. 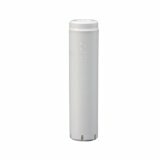 Most often, they are offer filtration levels of 2 to 20 microns. I've never seen one that is fine enough to remove bacteria or other microorganisms. If you just want something that will remove most dirt and chlorine from your drinking water, these will work. They typically cost just under $10. Granulated Charcoal. The big thing to know about granulated charcoal filters is that they do little to filter sediment from the water. Further, they do not come in fine enough filtering to remove giardia. 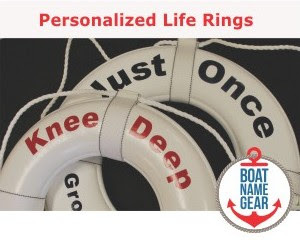 They are easy to identify as they have a solid plastic outer casing. Granulated charcoal filters are reasonably good at removing chlorine, volatile organic compunds, pesticides and many other man-made substances. They typically come in 2 to 20 micron filtration levels. The best use for granulated charcoal filters is simply to remove bad taste from drinking water. Like the charcoal wrapped filters, they do not sufficiently remove chlorine to use on a freshwater flush system with a watermaker if you use bleach in your tanks (or if you alternate watermaker water with city water that could contain chlorine). 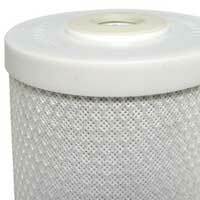 Granulated carbon filter typically cost $10 to $12. Carbon block filters. The most all-encompassing filters are carbon block filters, but that doesn't mean that just any carbon block filter will do. Only the finest 0.5 micron carbon block filters will remove giardia and cryptosporidium, both of which can cause severe diarrhea. The 0.5 micron carbon block filter is also virtually 100% effective in removing chlorine, and is what most watermaker manufacturers recommend on their freshwater flush systems to ensure that no chlorine reaches the membrane. A carbon block filter's effectiveness at removing sediment is dependent upon the micron rating of the filter, although water with visible dirt and sediment will quickly foul the highest quality carbon block filters. Carbon block filters can remove small quantities of heavy metals, but they can't cope with high concentrations and shouldn't be relied upon for that. Carbon block filters can be made from any of several materials; coconut shell carbon is the best, but also costs a little more. A 0.5 micron carbon block filter will cost $18 to $20 (some brands more). While sediment-only filters can simply be changed when the flow rate has noticeably lessened, carbon filters will lose their full effectiveness long before taste is affected. If you are using a very fine carbon block filter, be sure to change it according to the manufacturer's directions in order to get the full benefit. Your article is informative. I don't have running water on my little "ship", I have a fyrnspray hand pump . If I used a granulated carbon filter, would it be able to pull water through it well enough to not be frustrating???? Hi! I've personally never had one on a hand pump -- it was on our pressure water side, which could also be operated with a foot pump. It was NOT a problem with the foot pump and I've also talked to a couple readers who have had them on hand pumps. They have also said that it's not a problem with their hand pumps. Again, no personal experience and every system is slightly different, but you should be okay.